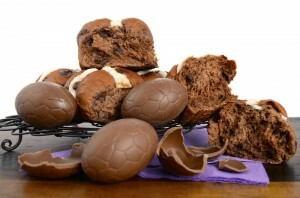 March 2019 Foodwatch Newsletter - the Easter choc and bun-fest! Written by Catherine Saxelby on Tuesday, 26 March 2019. Easter will be late this year – 19 to 22 April – and I’m already sick of seeing chocolate eggs, bunnies and bilbies everywhere. Not forgetting Hot Cross buns which have been on sale since January! Why do extended retail cycles have to dictate what we can see and buy? And why does it have to start so early? I know I sound like the Easter Grinch but this is becoming ridiculous. In this newsletter I detail why extending the "celebration time frame" is detrimental to our health and our actual enjoyment of the festival. Naturally, there’s lots more in this newsletter – not all critical, I promise! While you can check it out online here why not subscribe? As usual there's much more including "All things chococlate", What's new on the Foodwatch website, a French Diet podcast and What I'm eating now. Why not subscribe, and have the Foodwatch Newsletter delivered to your Inbox? It's free? If you like what you read, then please subscribe and you'll receive a free copy of Catherine's 18-page guide "7 Steps to Being Organised in the Kitchen". January 2019 Foodwatch Newsletter - Antioxidants, polyphenols and phyto-chemicals - what are they and do they matter?